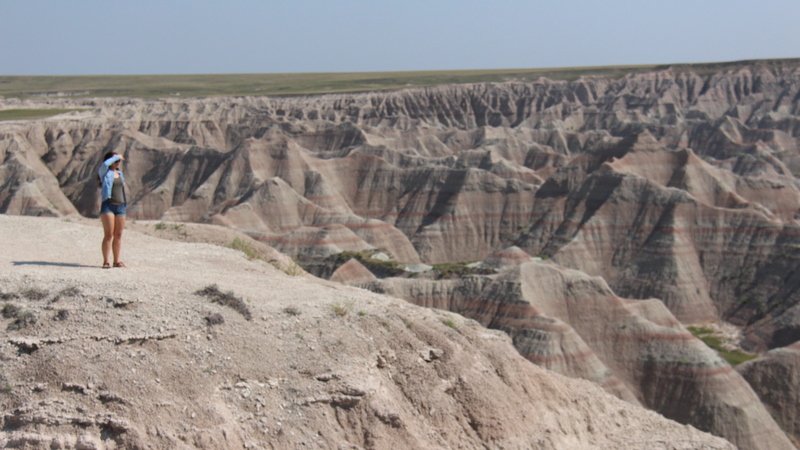 Oh Give Me a Home, in the Badlands I’ll Roam. You know that person that has a vast photo collection of pictures they’ve taken in front of famous landmarks? Of course you do, because one of them is me! Okay, so I don’t have a “vast” collection yet per se, but eventually I will. That’s what I enjoy doing on my trips : collecting photo memories of things I’ve been blessed to experience. It was a dream come true when I got to add a picture of Mount Rushmore, and the Crazy Horse Memorial to my photo collection. 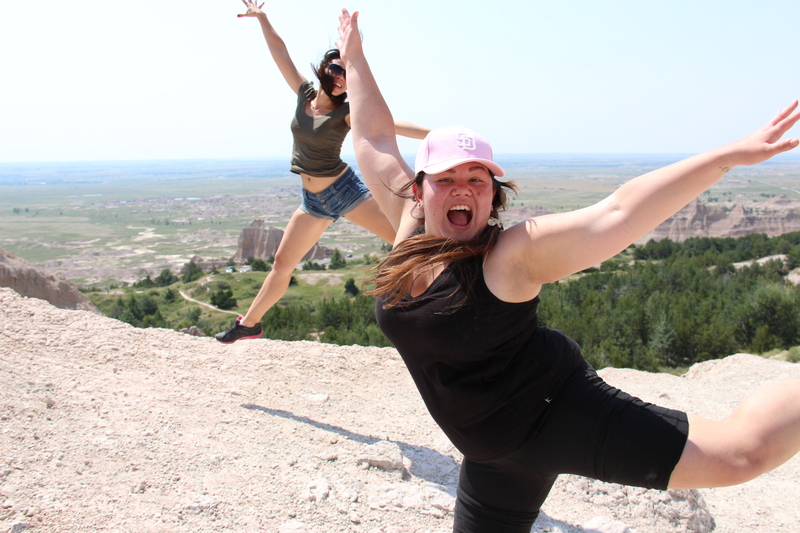 I have always been interested in the history of the American Frontier region and had always wanted to go see Mount Rushmore and the Crazy Horse Memorial. The opportunity to explore that area arose for me last year in the oddest of ways and I have to say, it was one of the most unforgettable trips I have ever been on. 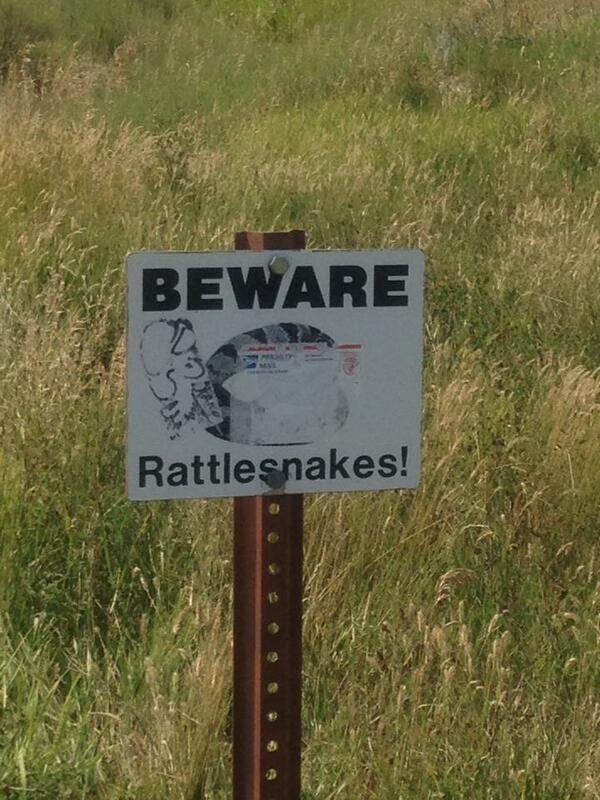 I figured we’d get there, see a couple of landmarks, some cornfields or something, and come home. However, the more research I did, the more I found out there was much, much more to see. Three to four days was not going to be enough. On day one , our flight arrived in the early afternoon. Check in time at the hotel wasn’t until 3 P.M. and much to the dismay of my exhausted boyfriend and sister, I “kindly suggested” (or demanded some would say) that we get back in our newly rented SUV and start exploring. We had no time to waste sitting in the hotel lobby waiting for our room. So, off we went! 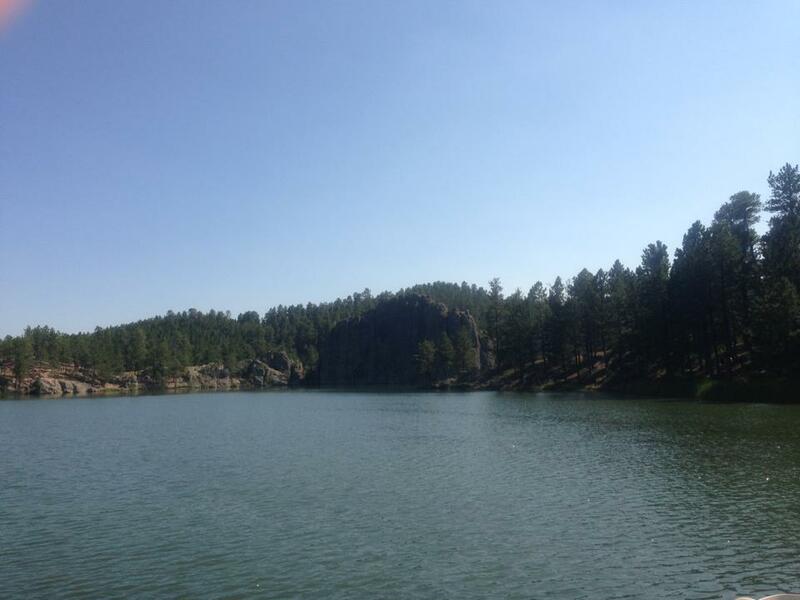 First stop was Custer State Park and The Black Hills. 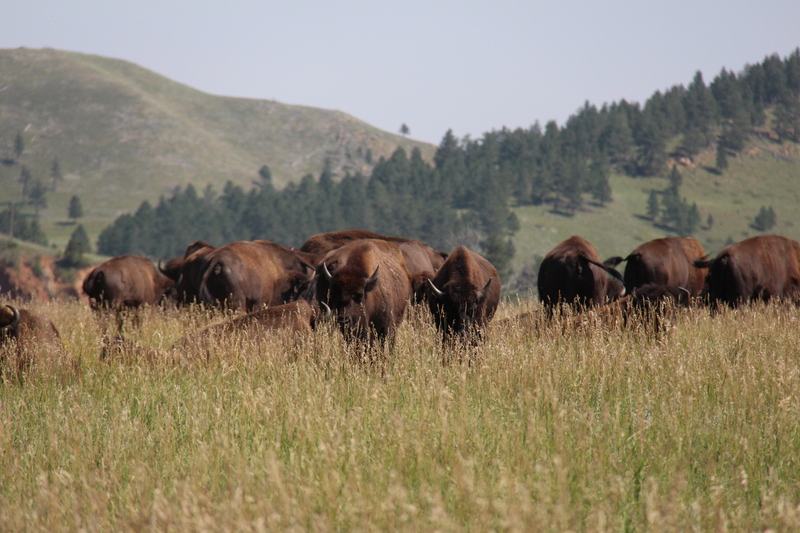 Here’s a Tip : You want to give yourself a good two or three days to really see and experience everything in this park and The Black Hills! 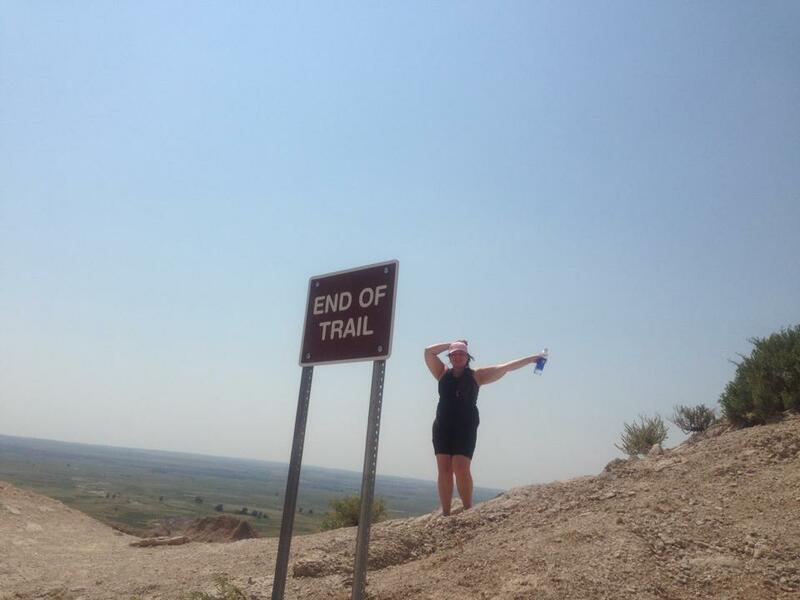 We did it in half a day , and all we really got to do was sight- see. Literally. see the sights, move on. Still a beautiful experience, but I do wish we actually had taken more time to enjoy every single sight. 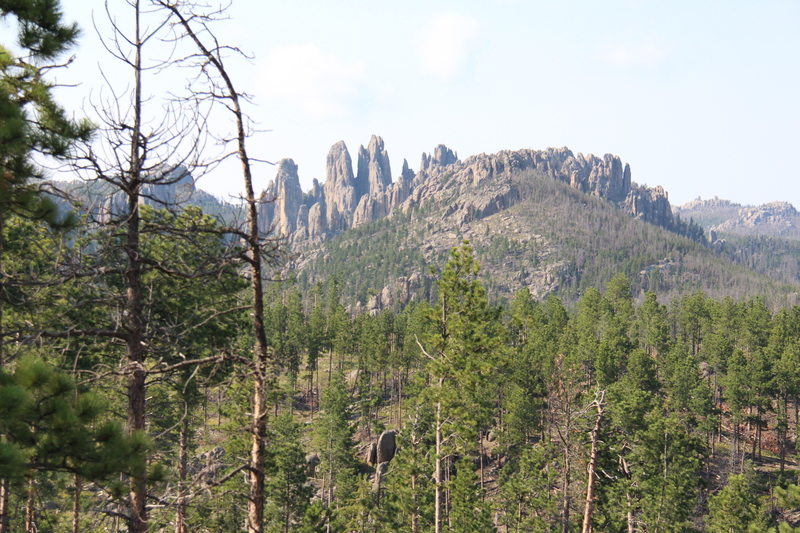 One of the many pictures we took of the gorgeous scenery in The Black Hills. There we are ! Tired, but enjoying the view. Jump in! The water is great! Patty and I messing around in some tunnels. 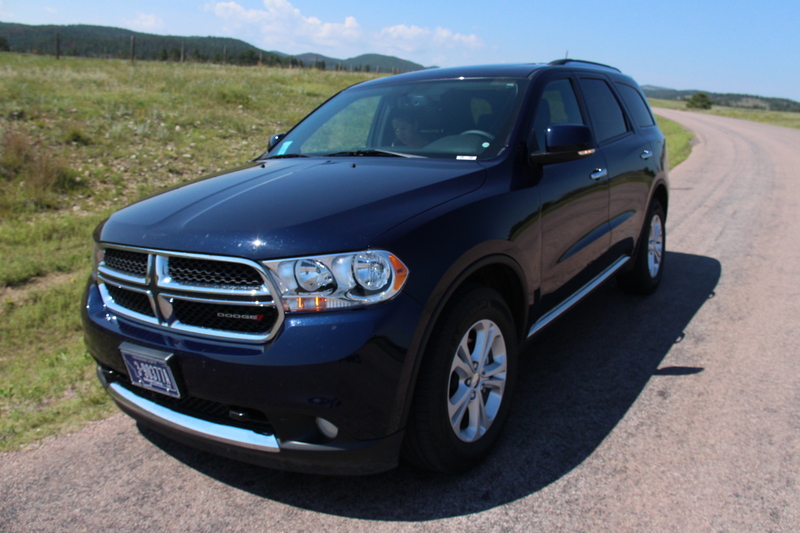 Yikes…is our Explorin’ Machine gonna fit? 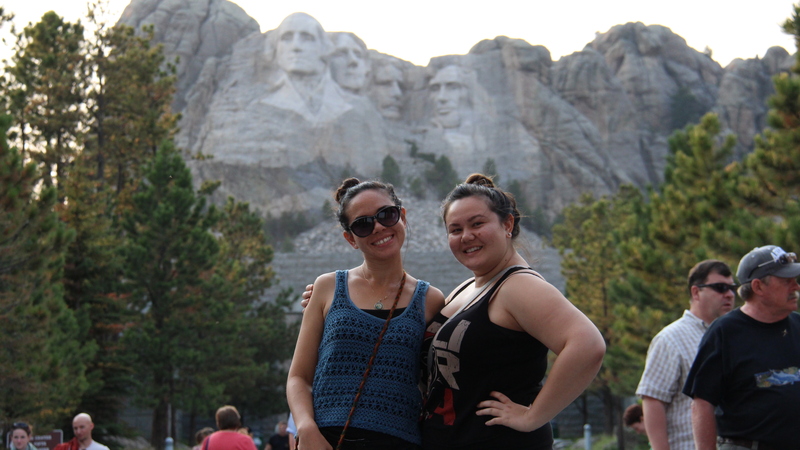 We also managed to squeeze in Mount Rushmore and Crazy Horse on the way from Custer State Park! 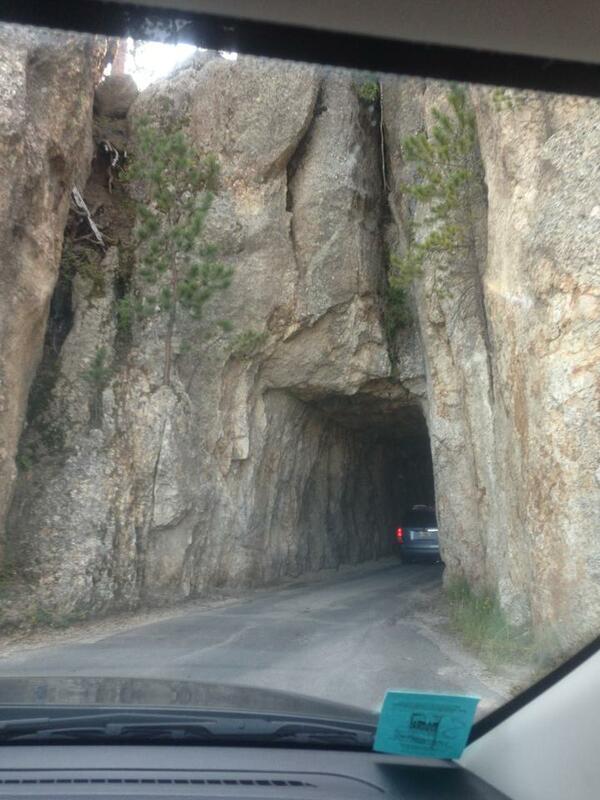 Another Tip for you: Don’t squeeze in Mount Rushmore and Crazy Horse on the same day as Custer State Park. We missed out on experiencing most of the exhibits and seeing two amazing evening shows. Mount Rushmore has a lighting ceremony you can see at dusk, and from what I hear, it’s like seeing a whole new monument. 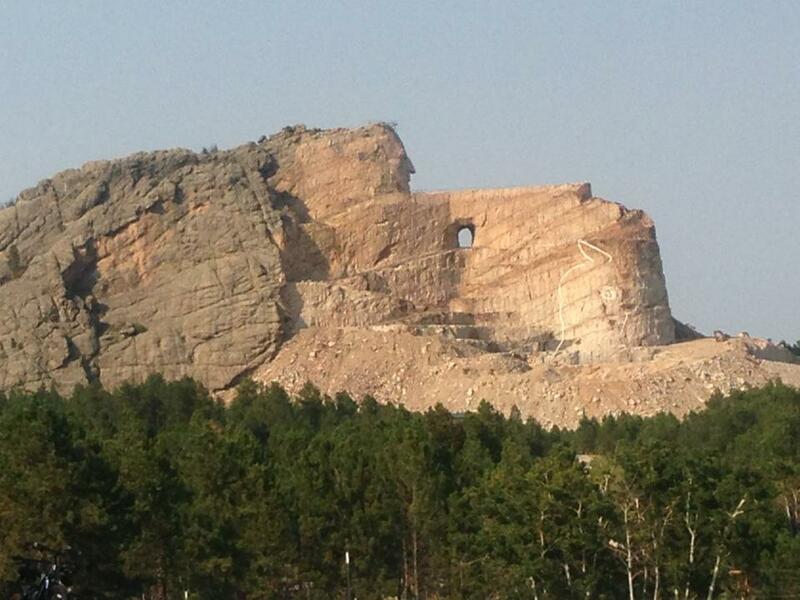 The Crazy Horse Memorial has a cool laser light show called “Legends in Light” that looked amazing. I was so happy to see this finally for myself! It’s breathtaking ! After a good night’s rest, we geared up for day two of our trip. This was definitely my favorite day. 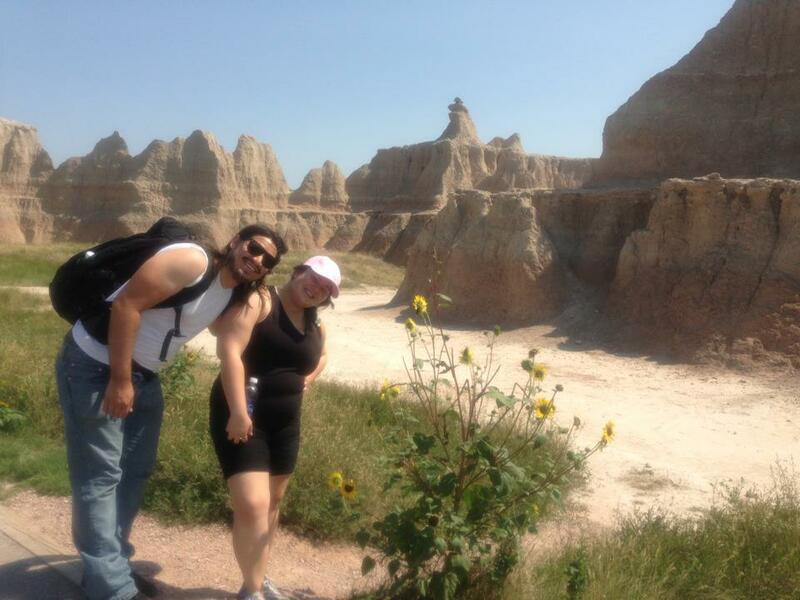 We visited Badlands National Park for a day of hiking! 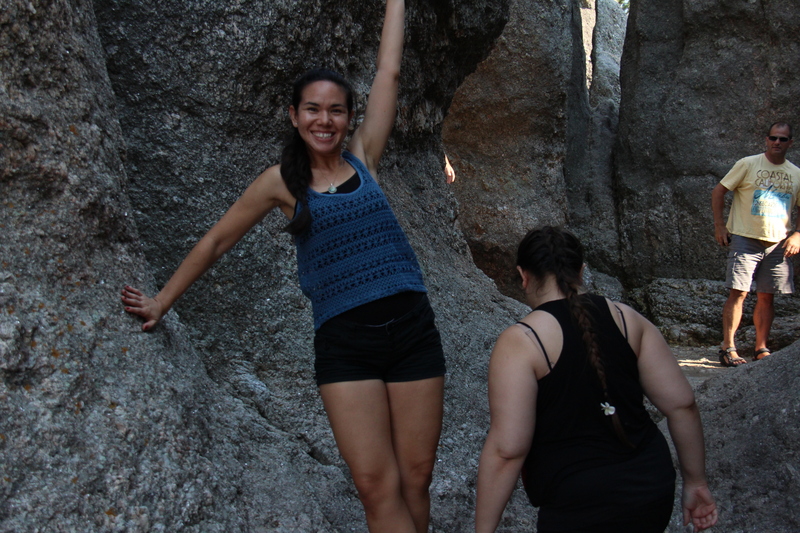 Conquering any fear of heights and rattlesnakes, saving my sister’s life twice, and relishing in the extraordinary views were just a few of the experiences we had that day. 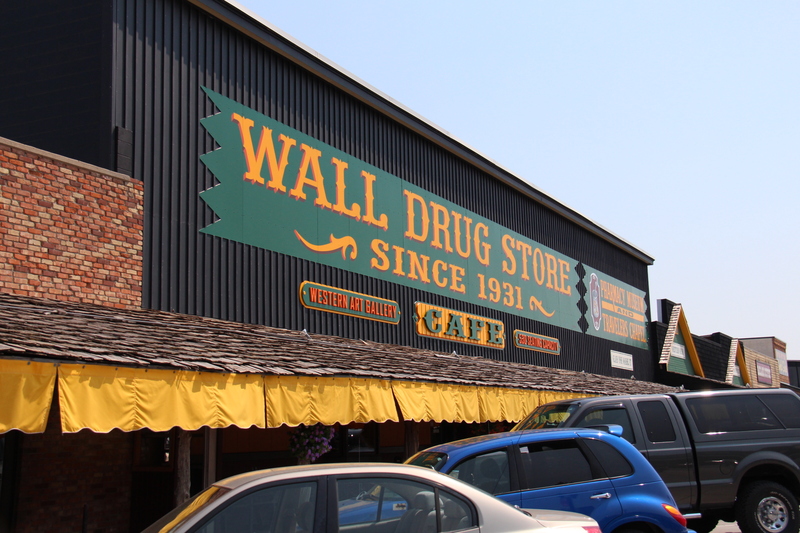 We also made a pit stop to the famous Wall Drug Store for some kitschy fun. There’s my travel buds ready for adventure! I could get lost..and no one would find me. 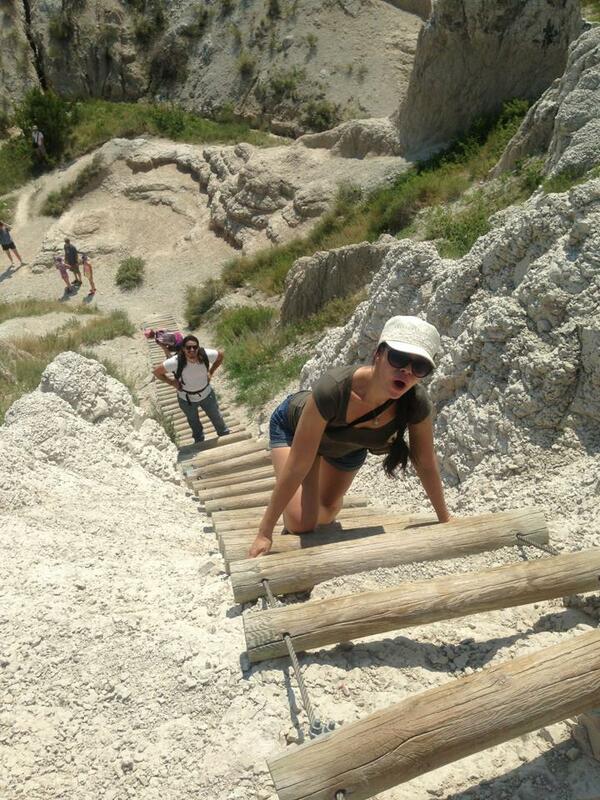 The ladder that my sister almost fell off of! 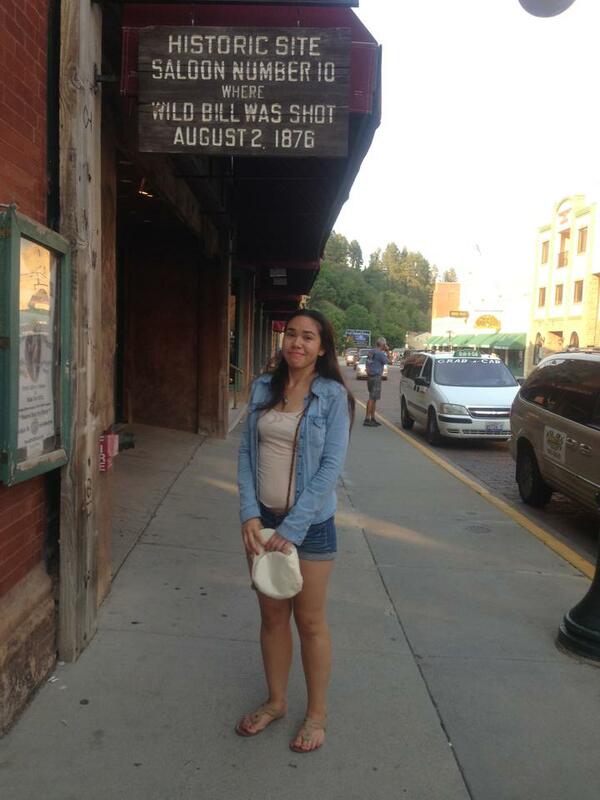 After our day of hiking we decided to reward ourselves with a great big dinner in Deadwood at The Gem Steakhouse and Saloon, which used to be the location of the notorious Gem Theater owned by Al Swerengen. 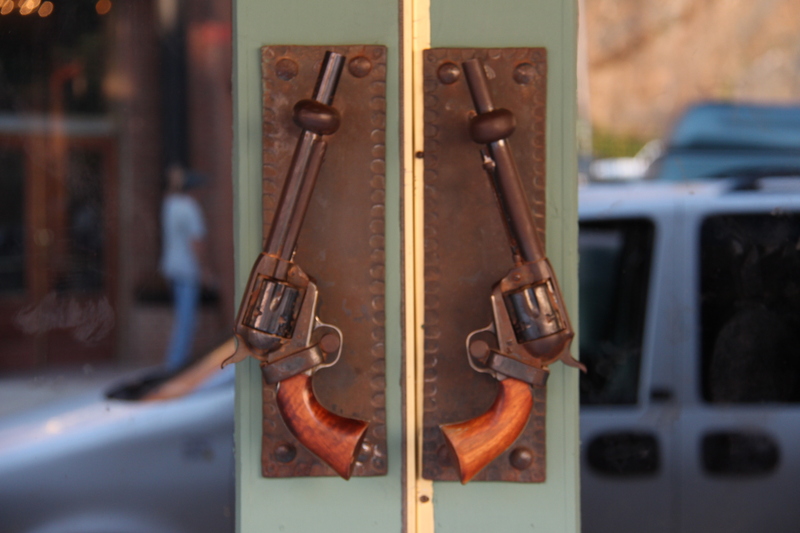 If you’re a history buff, or just a fan of interesting places, you definitely need to see Deadwood and walk the same streets that Al Swearengen , Seth Bullock , Calamity Jane, and Wild Bill Hickok once did. 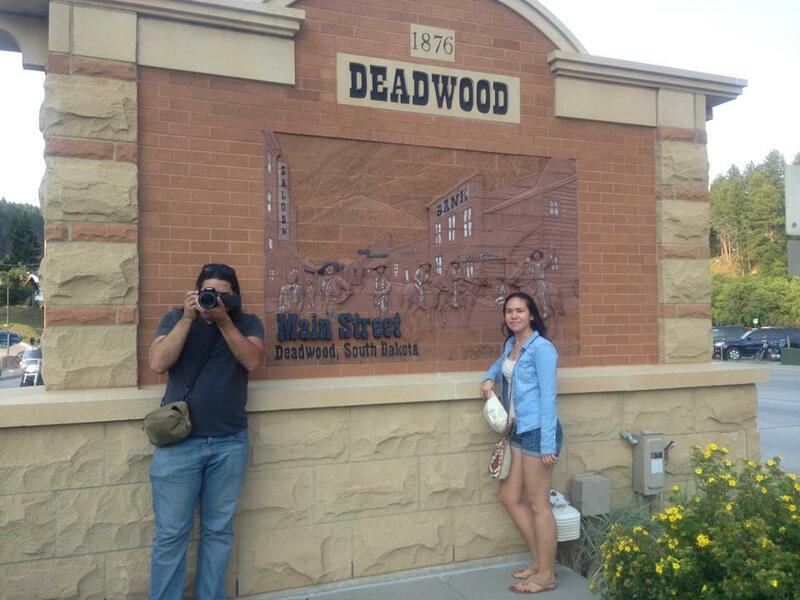 See all that Deadwood has to offer! The last day of our trip for me was spent mostly in bed, unfortunately. All the exhaustion from not sleeping caught up with me and I had the beginnings of a nasty cold AND pink eye. No bueno. After a morning of denying that I was getting sick, I loaded up on flu drugs and we went out for one last hurrah before our flight that night. 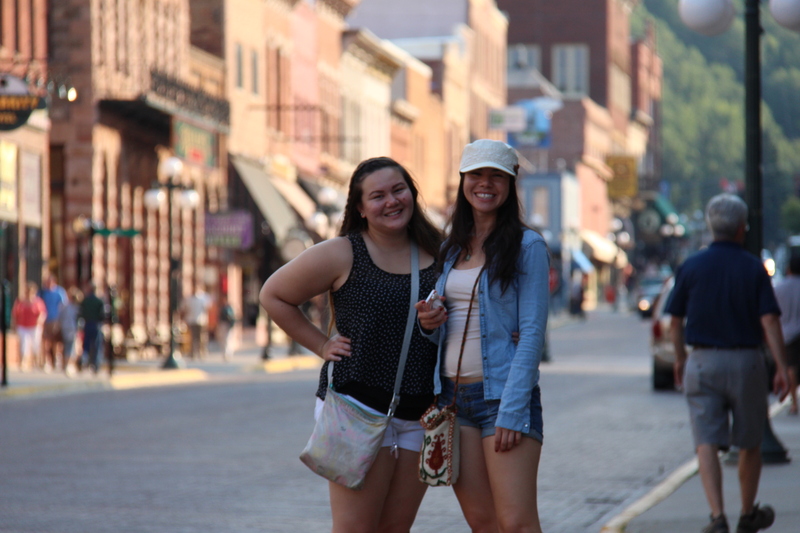 We walked around downtown Rapid City which has a lot to offer visitors looking for unique vintage shops and cafes. We found this alley called “Art Alley” which was pretty awesome. 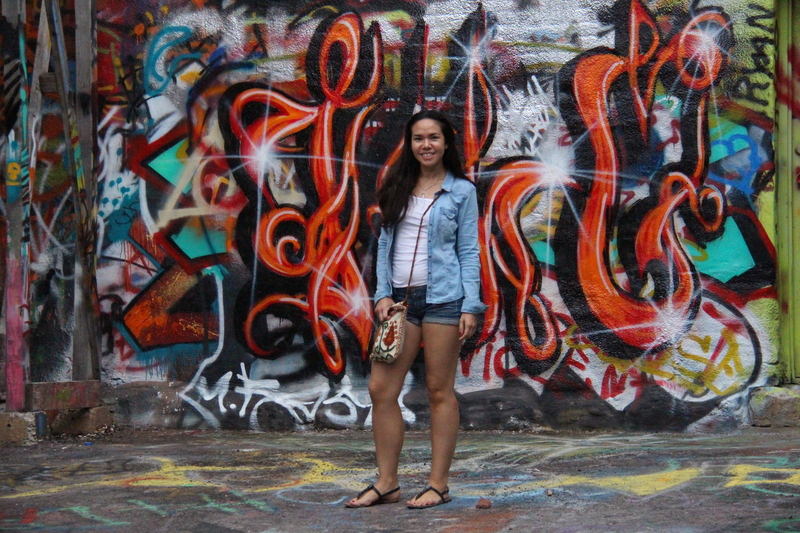 Even though we were accosted by someone wanting to sell us Mary Jane, we were amazed by the cool graffiti art that made an otherwise unattractive alley quite beautiful. 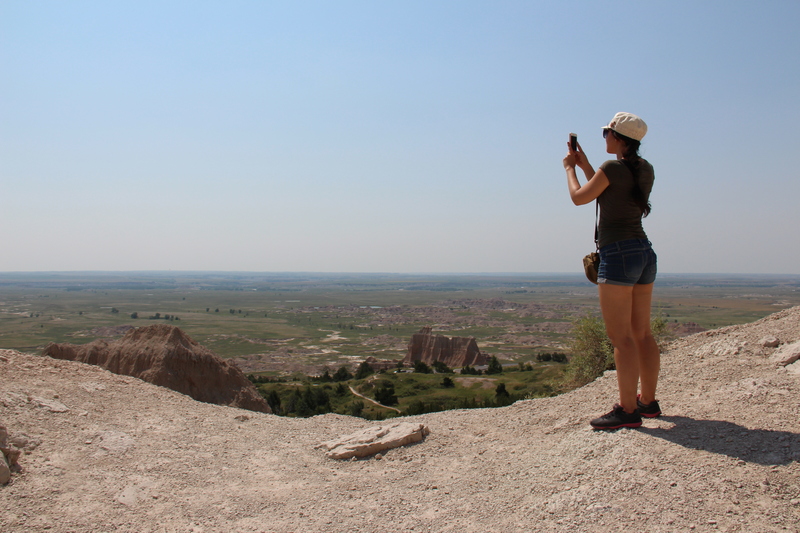 I hope that one day I will find myself in the Black Hills and Badlands again. 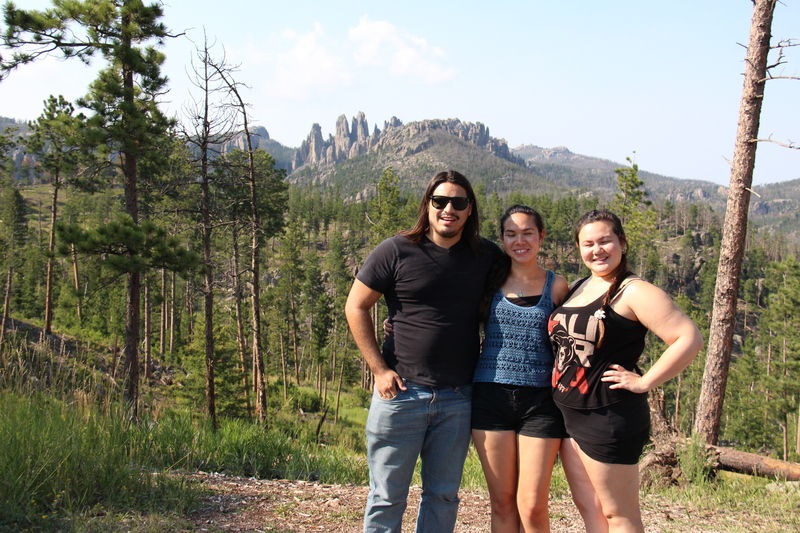 I feel blessed that I got a chance to see and experience those beautiful places with two of my favorite people. This is definitely a place you need to see and add to your photo collection! 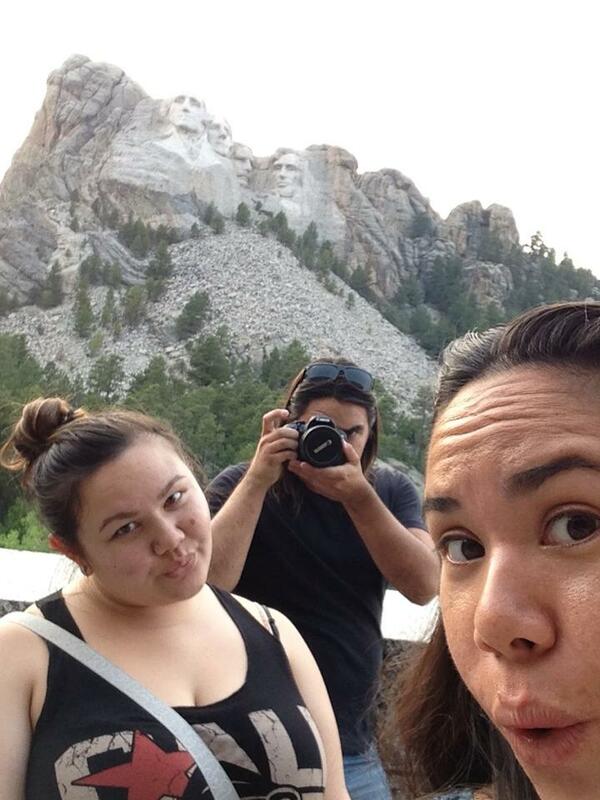 Greetings from Mount Rushmore! ‘Murica! 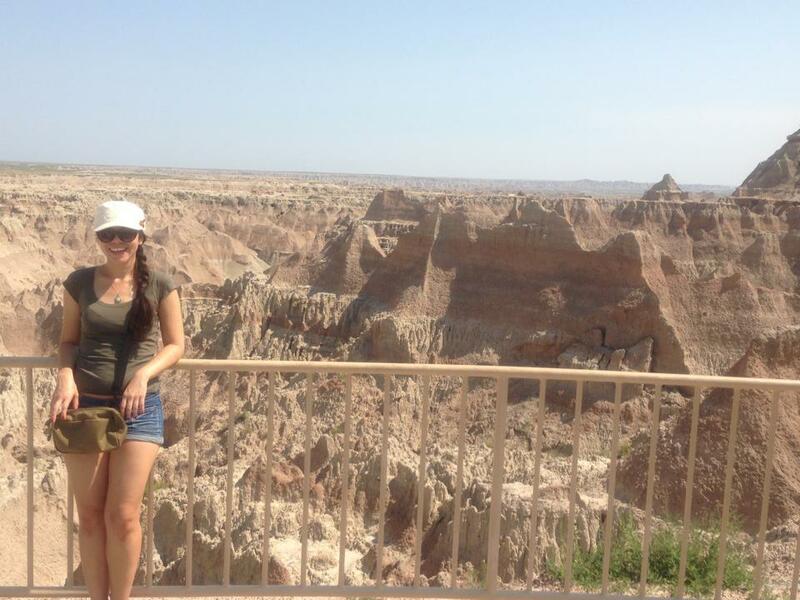 Jamie is a writer with a passion for adventure, history, and more. When she’s not out exploring the world, Jamie is at home in sunny San Diego, CA chasing sunsets and carne asada fries, preoccupied with research, or invested in a good book and a cup of tea.